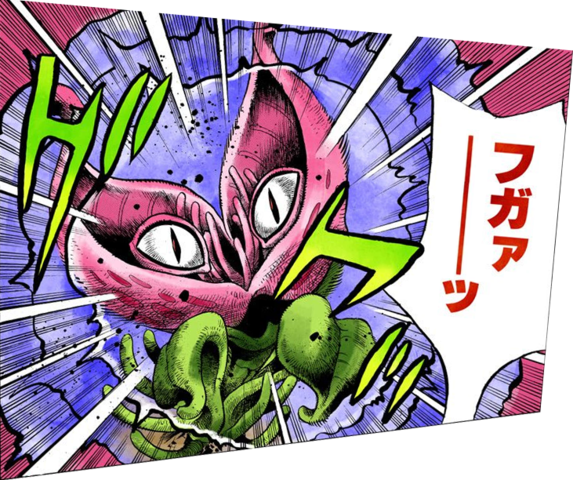 It's probably debatable how "creepy" or "monstrous" today's stand really is, since it literally combines a kitty cat with a flower. 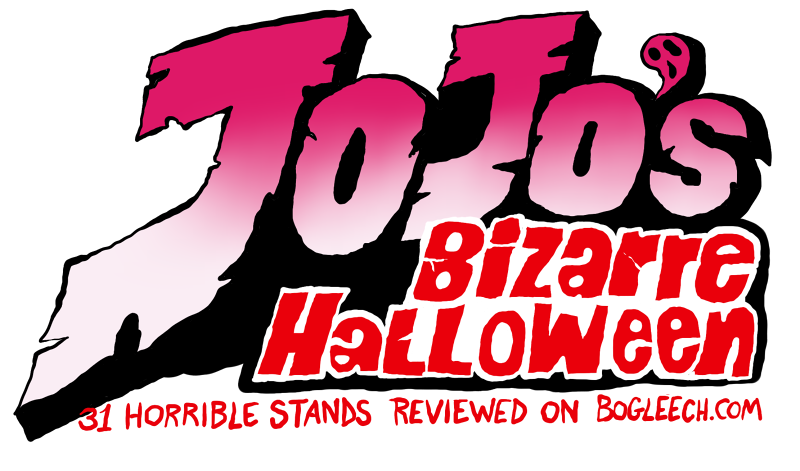 It is, however, a dead kitty cat, who also happened to be a stand user, because no, it's not actually limited to humans at all. Stray Cat never had any known form of its own, its sole power being to merge its user with itself and a plant at the moment of death. Now, we end up with an animal/plant/stand hybrid retaining the complete personality and memories of the original cat. It's a very cool looking design, too, with a pair of stalked, feline eyes nestled in the basin of a single large pair of fleshy petals. It's a plant-creature design that feels easy to come up with, but it's still fairly unique to me. Stray Cat's power is to manipulate air, even forming it into solid objects or projectiles. This power isn't exactly "creepy" either, even downright underwhelming, so I guess I'm just generally cheating with this entry. I just couldn't not include Stray Cat, because look at it! It's a plant kitty! But it's mostly a plant! It's a weird plant with eyes that thinks it's a kitty! I've been holding it back a little for our first week. Tomorrow, we're going to do one of the really horrifying ones.